On 2 August, Tepco announced that it had removed the fuel handling machine, the largest remaining piece of rubble, from the unit's used fuel pool at the top of its reactor building. Its removal followed months of preparation and clears the way for the remaining rubble and the used fuel in the storage pool to be removed. 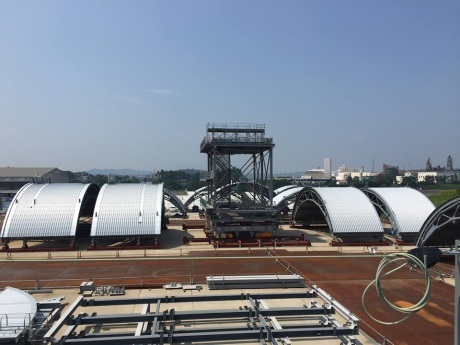 Tepco said there are a total of 566 fuel assemblies inside the unit's pool and the cover will prevent radioactive substances from scattering during their removal.